As much as I truly love this show, my expectations for this week’s episode weren’t very high. Last week’s “Incident at Stone Manor” was impressive in its use of clever editing and superb acting to create something special for the return of the Abbie Mills character to Sleepy Hollow proper. This episode, though, looked like it was just going to be back to basics. 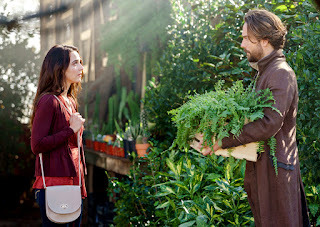 You know: some spooky Sleepy Hollow madness, Ichabod Crane being awkwardly out of sorts and easily offended by modernity, Abbie back to investigating apocalyptic happenings and — from what I could tell by the previews we saw last week — utterly normal, with nothing of the Catacombs lingering in her psyche. Such was the strategy of the show’s previous season, after all, when Abbie’s trip to Purgatory left zero impact on her despite the fact that she nearly died and almost got trapped in a dollhouse for the rest of eternity. What’d she get after that? A tiny fear of bats, mentioned in one episode. Why would her Catacombs stay be any different? Like I said: I love this show. I forgive it of almost everything (the fact that I stuck around after the uneven quality of season two is evidence of that) and I’m just blissfully impressed when it gets things really right, like it did last week. So, while I understood that episodes following the fantastic “Incident at Stone Manor” probably wouldn’t wow me like that one did, what did “Kindred Spirits” actually deliver? Speaking of season two of Sleepy Hollow, this week we’re being visited by one of season two’s dangling plot threads: the Kindred, an undead warrior built by Benjamin Franklin in order to help the Witnesses fight the Horseman of Death. The Kindred showed up in an episode of the same name at the beginning of Sleepy Hollow’s second season, but then rode off into the night and was never heard from again. I don’t think fans thought the Kindred’s existence would ever be revisited, so it was a pleasant surprise to see a whole episode dedicated to the Franklinstein, even if the question of its role in the Apocalypse still goes on unanswered. I mean, Benjamin Franklin created the thing to help out the Witnesses, right? It’s been a year, Kindred, and the Apocalypse is still going! What have you been doing? Taking long walks and thinking existential thoughts? Apparently, yeah. During his absence of over a year, the Kindred’s been busy developing a personality and, like Frankenstein’s monster, a sense of loneliness. Despite that the Kindred was meant to be a force for good, he’s got no qualms about murdering various couples around town in order to find that perfect match. The good news is that he manages to make it look like a gruesome serial killer is menacing the town; the bad news is that Abbie recognizes the MO of the Kindred right off the bat and doesn’t actually feel up to helping her former boss, Detective Reynolds, investigate. She’s still out of sorts after spending almost a year in the Catacombs, and being reminded of the supernatural isn’t really helping her. This episode exceeded my expectations on several levels, but I think the aspect of it that surprised — and pleased — me the most was the way it handled Abbie coping with being home after the Catacombs. Rather than pushing aside the whole event as a thing of the past, there are clear indications that Abbie is still being affected by the 10 months she’d spent alone, talking to herself (and to her imaginary Ichabod Crane). And as a particularly nice bonus, it looks like Abbie’s Catacomb ordeal will be a through line in future episodes. I’m thrilled by this because the Abbie-centric plot is giving us a lot of opportunities to enjoy Nicole Beharie’s great acting as the character tries to deal with her experiences. So, since Abbie can't — or won't — officially be on the case, it's up to Sophie to act as their inside source to the FBI. This boils down to Sophie trying her best to keep track of the Kindred, at Team Witness’s instruction, while everyone else tries to find a way to stop Benjamin Franklin’s old monster from killing more Sleepy Hollow citizens. To her credit, Sophie does really well and saves some people from the Kindred, but I do wonder what she thinks about her new dual role as cop and monster hunter. She doesn't seem terribly happy to have to take on the Kindred alone while waiting for backup, and the Kindred in general seems way beyond her job description. Another thing I really liked about the “Kindred Spirits” episode is actually how back-to-basics it really was. I mentioned in the intro that it's how I assumed it was going to be when I saw the promotional videos and information, but I really was expecting something more singular and one-off — like the episodes of season two, rather than the episodes of the first season. This week was like a good, fun season one episode: a mix of monsters and character, even including a nice moment where Abbie comes across a tree she and Jenny had carved their names into when they were children. I've always maintained that the true, bolstering strength of Sleepy Hollow is in the relationship of the two lead characters. This is disregarding any romantic implications, mind you — Ichabod and Abbie are good together, no matter what, and an episode of this show shines when the writers present them as the partnership they are. Abbie’s joke-snoring was fantastic, but more fantastic is the concern/brush-away between Ichabod and Abbie, respectively. Ichabod wanted to pick out some plants with Abbie and then go get breakfast. I guess Ichabod would consider his two dates with Zoe a “courtship” but I’m not going to. Two dates, Ichabod! One of them was terrible. 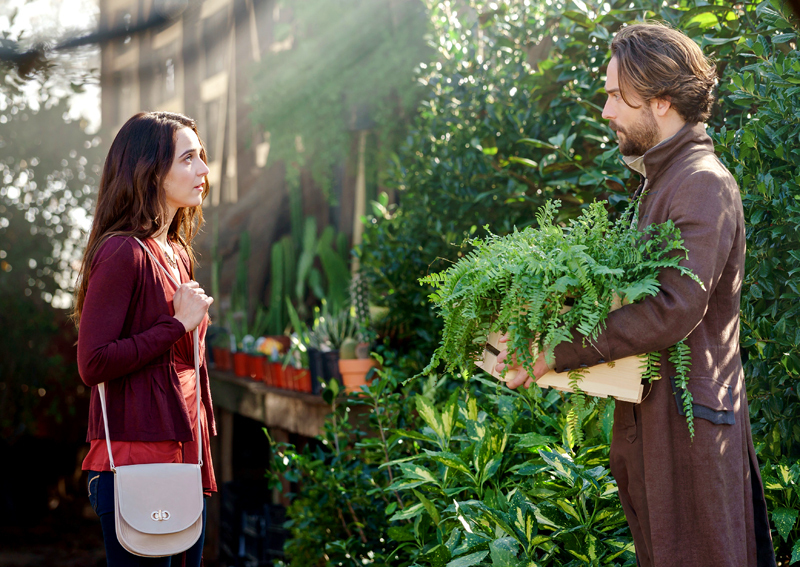 Abbie is ultra-charmed by Ichabod’s quest to fix her plants. I know it’s their job to keep track of the mystical creatures running around Sleepy Hollow, but who else is surprised they both remembered the details on the Kindred? Hands up to vote for the Hidden One as Worst Boyfriend? You’re supposed to care about your lady’s interests, Hidden One. “That box has been my sole companion for four thousand years.” Looks like Pandora had a Wilson, too. Still no idea what the Betsy Ross timeline is. I guess it doesn’t really matter. Abbie found the thing that Ichabod couldn’t find. “When did you learn to read Franklin?” “You were abroad for a year and I got bored.” While Abbie was trying to put the Witness/Apocalypse stuff behind her, she decided to go ahead and learn to read Benjamin Franklin’s coded alphabet. Have I mentioned Abbie’s my hero yet? “We steal stuff all the time. We’re stealing stuff right now.” That Joe/Jenny scene was really cute, I’m not gonna lie. Shout out to production: the swooping camera work in this episode is aces. I especially have a thing for the old “start upside-down and flip” shot we got at the beginning. This whole episode is Abbie and Ichabod trying to deal with their problem child. I mean, their problem child is a 6’4” monster with the head of Death and keeps murdering couples, but still. Horses are back on Sleepy Hollow! Hi, horses! Hey, Joe: Jenny’s allowed to not like her dad. You met him. He’s kind of a jerk. Joe can play a whole song on the glass harmonica without moving his fingers around to the different “notes”! Zoe, you seriously told your family about a guy after going on two dates with him? And only one of those dates was good? Talk about jumping the gun. If someone doesn’t edit the Kindred and Kindred meeting to the song “Helpless” from Hamilton, I will be very disappointed. “Well. That was odd.” So judgey, Ichabod. Your undead son just made an undead love match, be supportive. “Abbie Mills deserves better.” Hey there, tagline of the show last season. I like how Abbie’s surprised that Daniel loves her. Abbie, have you met you? You’re amazing. Yo, Pandora, Hidden One just called love a weakness. Get out of that relationship before he devours more of your power and makes you cry blood again. Late night Ichabbie chess games! Ichabod, you’re supposed to clean wounds before bandaging them. This episode was written by Heather Regnier. She wrote my favorite episode of SH season one "Midnight Ride". She should be the head writer because she knows how to incorporate all the SH crazy into a satisfying, whacked out episode. Thanks for another outstanding recap.